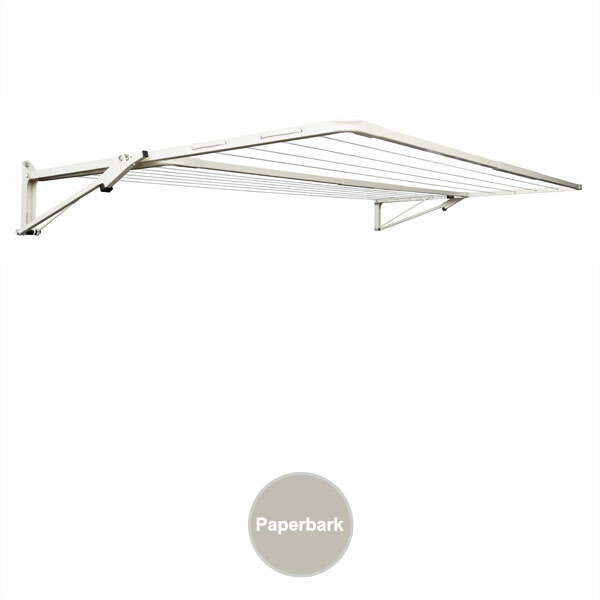 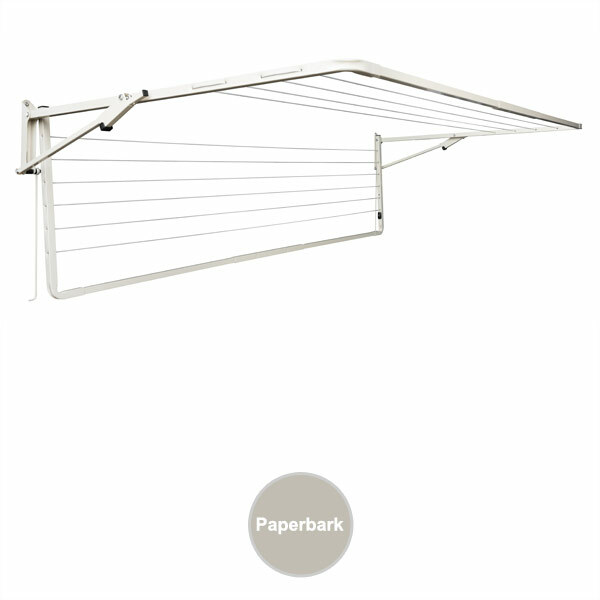 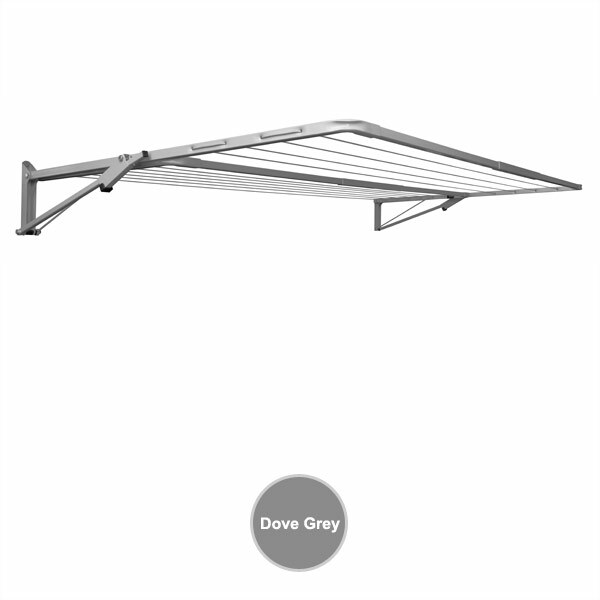 Sunbreeze Folding Wall Mounted Clothesline - Best Price - Free Delivery. 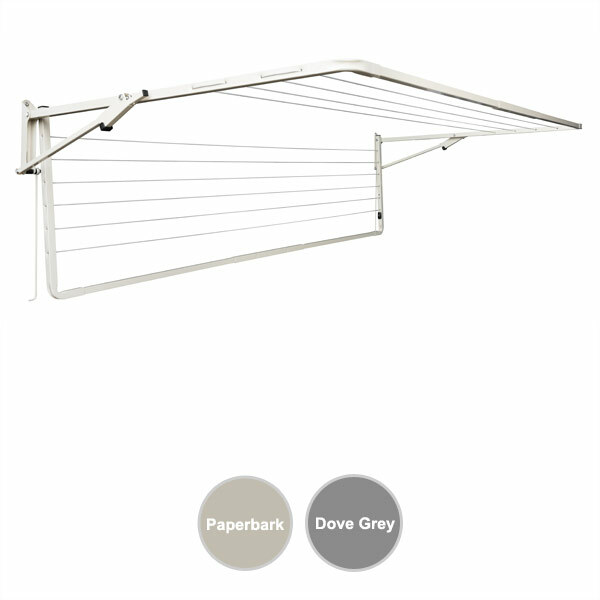 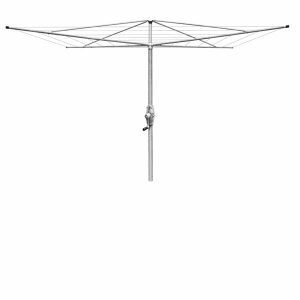 Sunbreeze Double Fold Down Clothesline has 10 lines with 23m of line space. 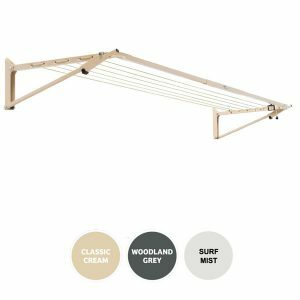 Suitable for 1-3 people. 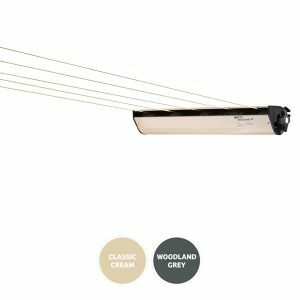 Colours : Paperbark and Dove Grey.